The Bill & Melinda Gates Foundation this month committed $1.5 billion over the next five years to support programs that will work to improve maternal and child health, family planning and nutrition in developing countries. Melinda Gates announced the plan on Monday at Women Deliver 2010, a gathering of world experts, advocates and policy makers in Washington D.C.
“In poor countries, pregnancy and childbirth often end in tragedy. 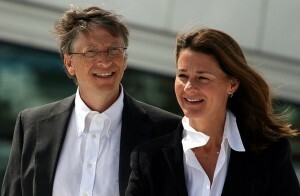 Our goal must be to build a world where every birth brings joy and hope for the future,” Gates said. Gates said that the money will be used to support local efforts toward a comprehensive approach to health that will include family planning, prenatal care, nutrition and improving the conditions under which women give birth. Researchers at the Institute for Health Metrics and Evaluation at the University of Washington say that maternal mortality has fallen more than 35 percent since 1980, from more than 500,000 maternal deaths to about 343,000 in 2008, according to a press release from the Gates foundation. Deaths among children younger than 5 are also down dramatically. About 7.7 million children are expected to die this year, down from 11.9 million in 1990, and 16 million in 1970, the release stated. The Bill & Melinda Gates Foundation, one of the world's largest philanthropic entities, is a "family foundation driven by the interests and passions of the Gates family," according to its stated principles. The foundation seeks to impact a number of major global issues, including health and education. Bill Gates, founder of the Microsoft computer software giant, co-chairs the foundation with Melinda Gates and his father, William H. Gates Sr. It appears that societies around the world are working to improve the survival rate for mothers in birth after all -- and that their efforts are working. Even as I was tapping out Monday's post, The Lancet was publishing a new study online that shows that maternal mortality has actually been dropping dramatically in many countries. "The overall message, for the first time in a generation, is one of persistent and welcome progress," Lancet editor-in-chief Richard Horton wrote in a commentary that accompanied the study. The number of maternal deaths per year worldwide has been tallied at 500,000+ in 2005, based on United Nations survey published in 2007. 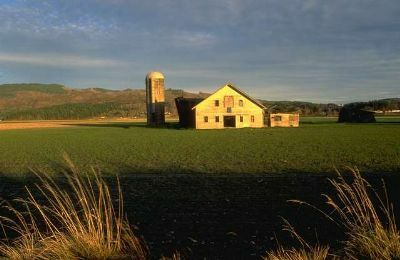 However, the new study, which was conducted by researchers at the University of Washington and the University of Queensland in Brisbane, Australia, and funded by the Bill and Melinda Gates Foundation, shows deaths to have fallen from 526,300 in 1980 to 342 ,900 in 2008. That's good news. Not only that, but taking out deaths from HIV/AIDS, which has emerged as a major factor in global maternal mortality, the figure would have been 281,500 in 2008. The United States, Canada, Denmark and Norway are among the prosperous nations that are experiencing increases in maternal mortality (less than 1 percent for the U.S.). More comprehensive reporting could account for the increase, the researchers noted. Not everyone is excited by the new survey's findings, Horton wrote in his commentary. "Even before the paper ... was submitted to us, we were invited to “delay” or “hold” publication," by some members of what Horton calls the "global health community" who fret that the relatively rosy picture the new study paints will lead to a flagging interest in working to make birth safer around the world. Horton dismisses those worries, but expresses concern that the figures in the new report are so different from those in the 2007 UN survey. "A process needs to be put in place urgently to discuss these figures, their implications, and the actions, global and in country, that should follow," he writes. So it appears that MDG5, the Millennium Development Goal that has to do with improving birth safety for moms is, after all, alive and well. "This new evidence suggests there is a much greater reason for optimism than has been generally perceived, and that substantial decreases in the (maternal mortality rate) are possible over a fairly short time," the report states.